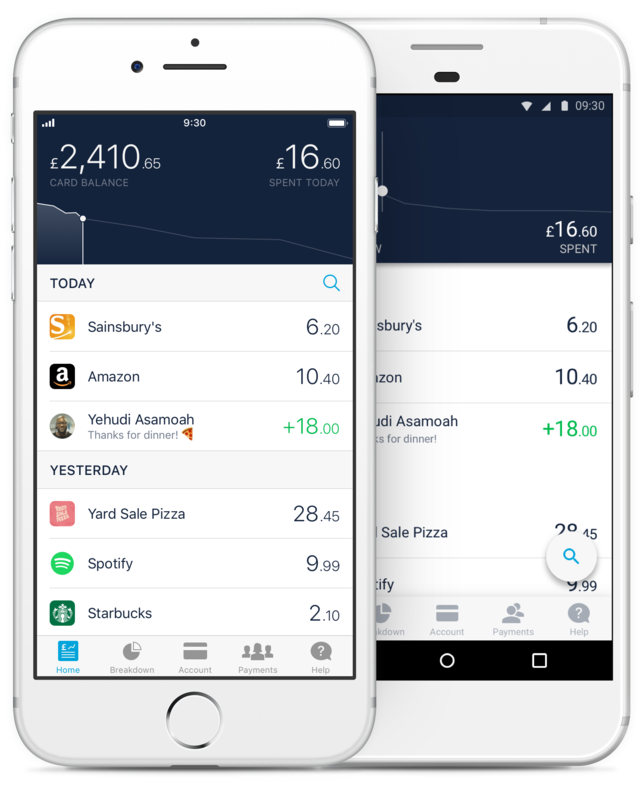 At Monzo, we’re building a new kind of bank. One that lives on your smartphone and built for the way you live today. A bank you'd be proud to use - and that means bringing together a talented team with diverse experiences, backgrounds and skills. We believe there should be an alternative to the banking of the past: we're focused on solving problems, rather than selling financial products, making your financial life simpler, and giving you complete control from your smartphone. Internally, we encourage an open, collaborative, inclusive working environment. We contribute to open source software. You can see what we have planned on our public product roadmap, and we continually engage with our wonderful community. We’re hiring talented, creative problem-solvers to help us build the bank of the future. Join us! Five minutes walk from Moorgate, we’re a team of just over 600 people building a bank. We're taking care of everything from regulation, to app development, to card distribution, and more. Can't see the perfect role for you? The option to buy shares in Monzo at a later date, at a discounted price with reduced tax liability. Whether your child's ill, you're waiting for a package, or you have some deep-focussed work to do, we all work from home from time to time. We encourage everyone to work from home every other Friday to keep us remote-friendly - we record our all-hands meeting so you can stream it or catch up later. 32 days’ holiday a year (inc UK public holidays), and we encourage you to use them all up! Building a bank is a marathon, not a sprint. You can also take an additional month of unpaid leave each year if you wish, to work on personal projects, travel further afield, learn a new language, take an intensive pasta-making course, or something else. Private health insurance, and paid sick leave (for both your physical and mental health). Pensions, with a 4% employer contribution. Well-paid maternity, paternity and adoption leave, which you're eligible for if you join more than 13 weeks before your expected date of childbirth or adoption. Twice a week, plus fresh fruit, biscuits, quality coffee, tea and soft drinks in the office. A discounted yearly subscription to the meditation app Headspace and weekly group meditation sessions. Monzo-wide socials every couple of weeks including go-karting, board game nights, dinners, samba drumming and movie nights. Teams organise their own social get-togethers, too, and there’s no pressure to attend. In-office yoga and pilates each week, as well as occasional 5-a-side football games and other sports. Choose your own equipment: let us know which tools you need and we’ll do our best to get them for you. Regular internal knowledge-sharing sessions on a wide variety of fascinating topics. An ever-growing Monzo library, with heaps of books about startups, programming, design, finance and more. Free cover providing peace of mind for you and your loved ones. Where are your roles based? We've got offices in London, Cardiff and Las Vegas but some people work remotely too. Each job description will say where the role is usually based, though we're big fans of flexible working! Do you offer internships, work experience or placements? Not right now. We're growing super fast and don't have the time we'd need to make it a great experience, but we'd love to in the future! Do you keep past candidates' applications for future openings? It's best to keep your eye on our jobs board and submit a new application for any roles which you’re interested in. Our system logs all the applications we get, so we can keep candidates in mind for other roles if they stand out. We don't accept email applications. If there's a role which interests you please submit an application via the relevant job description above 👆. If there aren't any roles which are the right fit at the moment, please sign up to our email updates to keep up to date with new roles. I saw a role recently but can't find it anymore, can I still apply? If a role isn't on our website it means we're not accepting applications for the position anymore. We process applications on a rolling basis and encourage everyone to apply as soon as they can. We're growing super fast though, so sign up for our email updates to be the first to hear about new roles at Monzo. Are you able to sponsor visas? Yep, Monzo's a registered sponsor. But we can only sponsor visas for certain roles (like tech, engineering and product, for example) because of Home Office regulations. I'm a recruiter, can we work together? We're not looking for any recruitment support right now. We've got a big enough team to hire most of the roles we need. But we'll let you know if that changes!